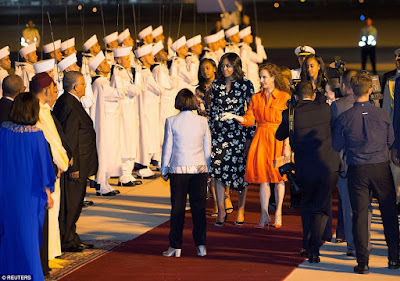 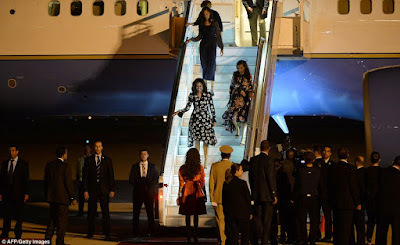 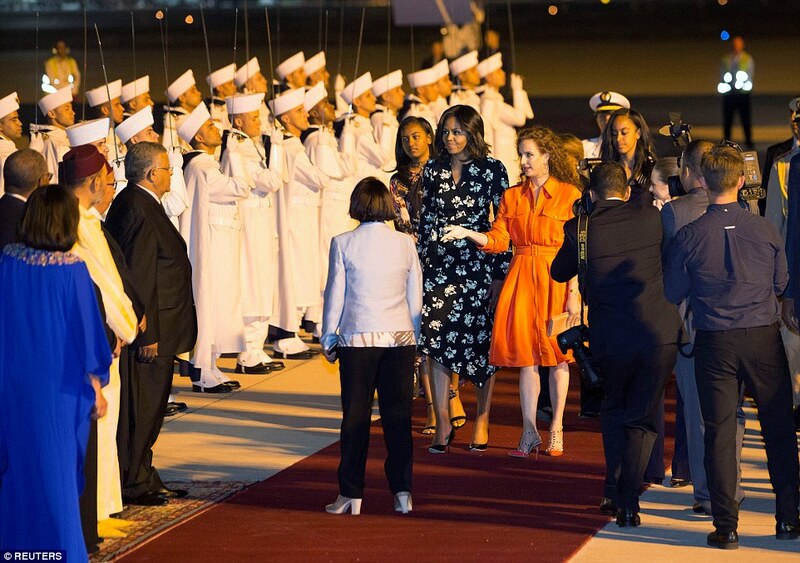 Michelle Obama and her daughters Malia and Sasha touched down in Morocco on the next leg of their six-day trip to promote education in Africa on Monday evening, where they were welcomed by King Mohammed VI's wife Princess Lalla Selma at the airport. 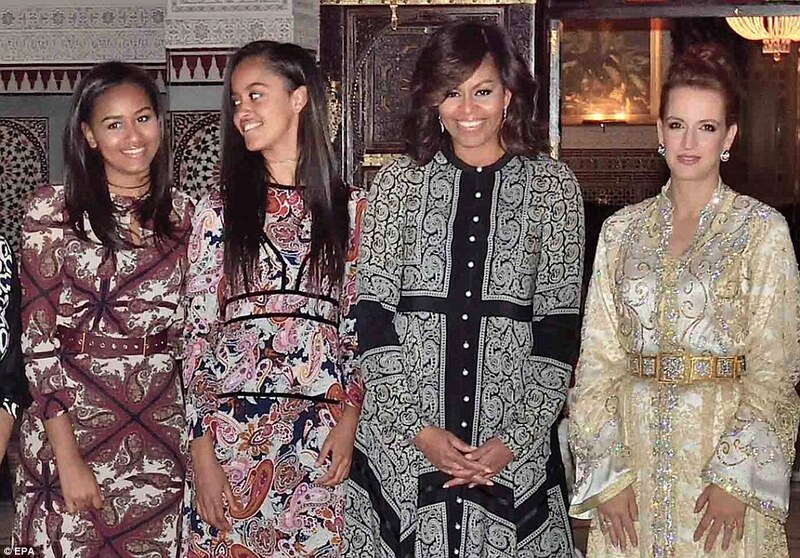 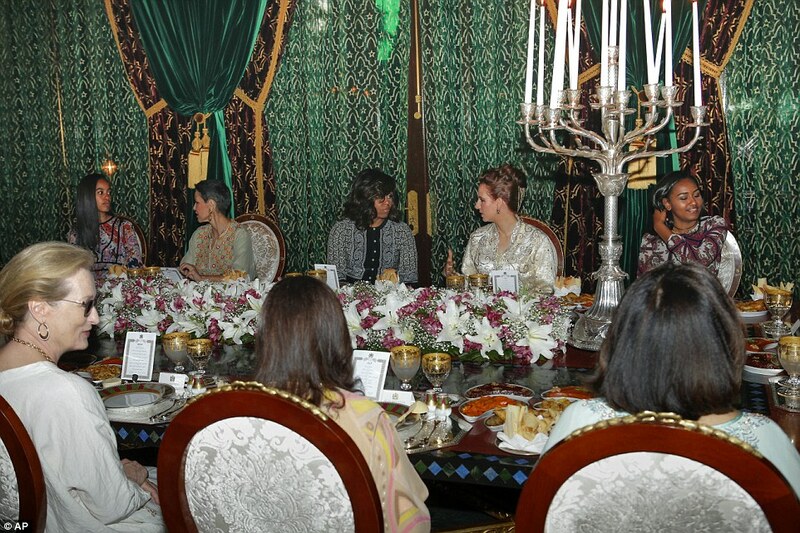 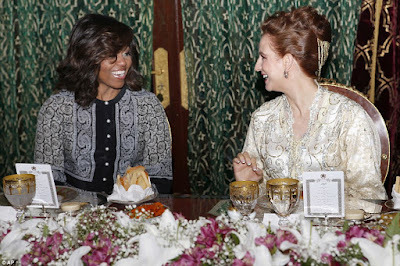 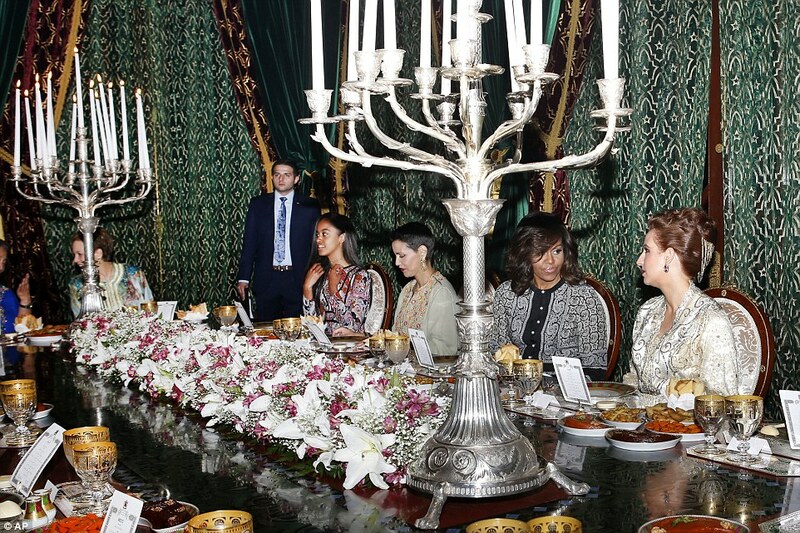 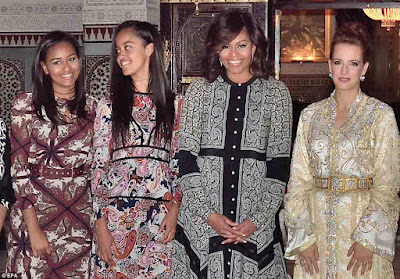 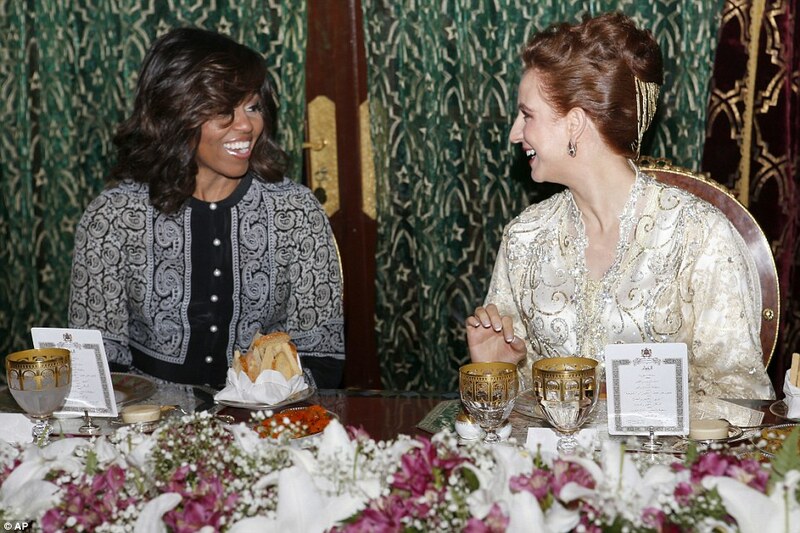 Michelle Obama and her daughters later indulged in a traditional Moroccan iftar with Princess Lalla Salma, the wife of King Mohammed VI, on Tuesday evening. 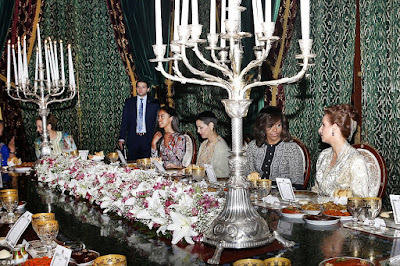 The Obamas were joined by actress Meryl Streep and other members of the Moroccan Royal family at the sumptuous dinner to break the fast during the holy Muslim month of Ramadan at King's Palace in Marrakesh. The first lady travels to Spain on Wednesday.